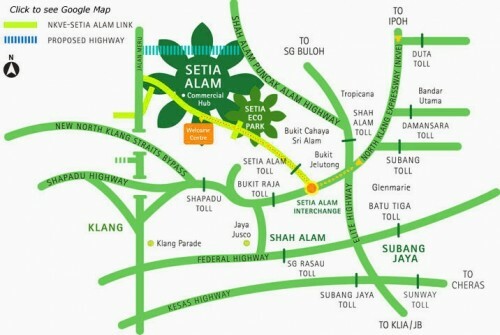 I was invited to Setia Alam @ Shah Alam, Selangor , Malaysia on 25 Jan 2013 for residential feng shui. After fetching me from airport at 9:50am, the couple brought me straight to their house at Setia Alam. The couple are typical Kuala Lumpur middle income group. Both of them are professional in their respective career by holding managerial post. They have a kid at home, their parents and a maid. This is kind of middle income group life style in Kuala Lumpur where you could see having foreign maid (Philippine) to take care of housework. To maintain this kind of life style and residential area means minimum monthly income should more than RM10,000/-. So, the issue here, as usual, to make sure everything is find in 2013, lifestyle must be maintained and income must be enhanced for better future. Therefore, I was called in for residential feng shui 2013.
a) To Empower Corporate Managerial Authority Especially for their competitive career battle field. We had addressed many issues during the visit. However, I just could only reveal a few basic feng shui defects for public reference due to P & C issue. The first problem is with the design of the pillar in the house CENTER Palace. In year 2013, this kind of physical pillar design MUST be avoided. Even, before 2013, this kind of design causes “narrow mindedness”. This is a general feng shui principle…. Thou should not dig and deepen the center palace of your house. Moreover, the deepening squarish area are filled with many black-white stones. This symbolizes putting burden into one’s heart DAILY. On top of the pillar, the big round shape wall clock was hang as what you could see at the right hand side. From Yijing perspective, clock is Qian trigram 乾 卦 symbolizes the xxxx of the house. The clock was looking backwards to the sitting of the house and seeing the back door. a) The residents were always” looking back” instead of looking forwards…. Loking backwards means “BACKWARDS” … Looking BACK DOOR means ……………….. The couple is humble to take down the comments. …….. This is the insight of Chinese Metaphysical perspective…..
Stay Tuned if you want more wisdom from this blog…..